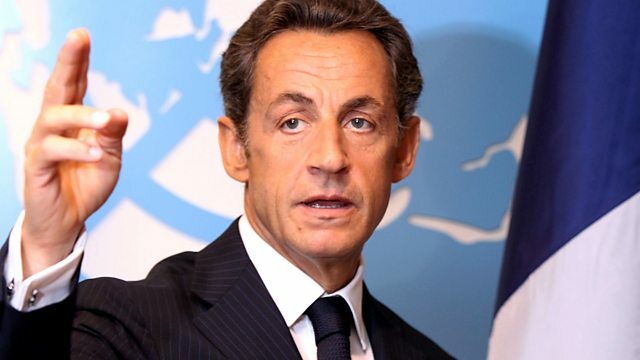 BBC Two - This World, Nicolas Sarkozy: President Bling-Bling? Emily Maitlis travels to Paris to find out why the French have fallen out of love with the man they nicknamed President Bling-Bling. Nicolas Sarkozy is a different kind of French President; he's populist, flamboyant, some critics even say vulgar. He came to office on a wave of popular support, and his marriage to supermodel Carla Bruni catapulted both of them to global celebrity. But four years on many of the bold reforms Sarkozy promised have ground to a halt, his poll ratings have taken a battering, and France has seen the worst riots in a generation. Emily Maitlis travels to Paris to find out why the French have fallen out of love with the man they nicknamed "President Bling-Bling". Geert Wilders: Europe's Most Dangerous Man? This World film-makers tell their behind the scenes stories about making the programme.